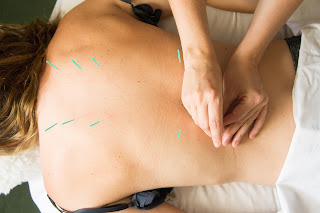 NESCA News & Notes: Is Acupuncture right for you? One of the most common questions I receive as an acupuncturist is “Can it help with (insert any condition or ailment here)?” And the answer is most emphatically “Yes”. This is because the majority of us suffer from something we wish we didn’t have to. The reason is that we have been taught only to receive medicine and health care as a means of fixing something which is already broken. We do not think about creating and maintaining a healthy body before these malfunctions begin to occur. But what if we could change our way of thinking? Imagine a time where you had an injury or felt pain somewhere in the body. You may have noticed that you quickly developed a very intuitive way to relieve the pain; perhaps you shifted your bodyweight to avoid an achy foot, or used your non-dominant hand to pick up something heavy, or placed a pillow below a sore hip in the car. Whatever the situation, I’m sure you instinctively and creatively found a way to lessen your pain. At first, these adjustments may have been just what you needed to allow some part of your body to rest and heal. Sometimes, however, circumventing pain can cause prolonged unnatural use of your body in other areas; and when you strain one part of your body in order to avoid strain on another part of your body every day for a week or a month, or in many cases even years, you will without a doubt begin to feel pain somewhere else. The body has a way it is supposed to move, and when you move in a way that is contradictory to it, you incite a domino effect. The entire body is interconnected. Every system, every organ, and every cell that is out of balance has to pull from reserves somewhere else. Simply put, the sick robs from the healthy. This is how imbalance forms in the body, and it is the reason unpleasant symptoms begin to manifest. Symptoms of imbalance can be subtle--they may show up in the form of dry mouth, a slightly aching head, or difficulty sleeping. Every person has a different chemical makeup, and therefore these imbalances will show up differently in everyone. It takes an in-tune and aware individual to begin noticing these changes in their body, and an even more proactive and intelligent person to decide to do something about them when the first signs arise. At last, we come to acupuncture and its role. Acupuncture is part of a holistic medicine system that originated in China and dates back thousands of years. Its entire motivation is to restore balance anywhere in the body. That means that, in a roundabout way, acupuncture can work with any ailment, although its strength is with preventative and early-onset illness. This is why acupuncture is a phenomenal modality for children and adolescents. Their imbalances are fresh and new, still close to their root cause, and relatively easy to reverse. It becomes more difficult as we age. When explaining this to those who are new to acupuncture, I often get follow-up questions about whether or not acupuncture can cure things such as cancer, diabetes, alzheimer’s, and other extreme ailments. Without a doubt, there are some very debilitating diseases that are best managed with a combination of pharmacological treatments and acupuncture. Until you begin getting treated with acupuncture and seeing how your body responds, it is nearly impossible to determine the level of imbalance in the body. What I can say with clarity and assertion is that acupuncture will most definitely help in some areas of a person’s life. When dealing with chronic illness, there is such a deep imbalance in the body that the person’s main concern may not be transformed in the way that they hope. In these individuals, although their illness may not be cured, their quality of life will almost certainly improve and many symptoms will be managed with acupuncture included in their care. There are many lists out that there have been approved by the FDA detailing specific ailments that “acupuncture treats” and they can be helpful, but looking at the benefits of acupuncture in that way minimizes the vast comprehensive approach that it actually has on the body. It is a much more holistic medicine that can positively affect many individuals. For any questions involving acupuncture, or to set up a free consult or appointment please contact Holly at hpelletier@nesca-newton.com.